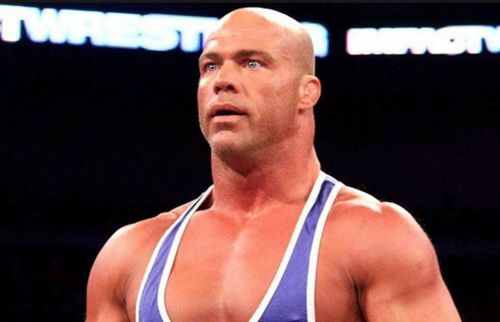 WWE have announced that Kurt Angle's farewell tour is heading to SmackDown Live this week. The Hall of Famer is set to take on AJ Styles on the show and that will be his final match ever on the blue brand. Angle has announced that he will be retiring after WrestleMania. His final match ever is set to take place at The Grandest Stage of Them All, where he will take on Baron Corbin. Reports suggest that WWE are reconsidering the matchup as it was not well received by the WWE Universe. The whole crowd at Monday Night RAW fell silent after the announcement and there were a few boos as well. The fans took to social media to express their anger at the matchup. Rumors are that John Cena will be the one taking on Angle in his final match – and that is exactly what the WWE Universe wanted. Angle is one of the best Superstars in the show's history and it will be interesting to see him share the WWE ring with AJ Styles. Angle has already taken on Apollo and Chad Gable in the Kurt Angle Farewell tour match, both on Monday Night RAW, and won them comfortably. However, things might not be the same on SmackDown Live as AJ Styles is expected to come out victorious.